Adagio For Hair is a full service hair salon servicing women, men, and kids. Emmy is a hairstylist at Adagio and her services include hair color, hair correction, highlights, low lights, haircuts, hair treatments, hair straightening, Coppola Keratin Treatment, Brazilian Blowout, Hair Feathers, Hair Extensions and much more. 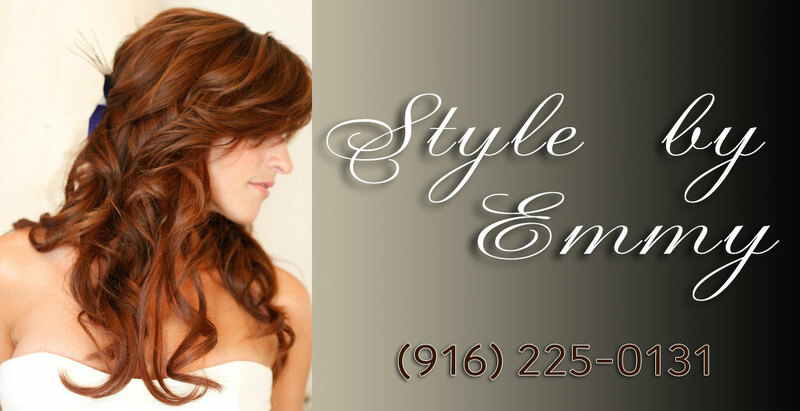 You can find Emmy at Adagio For Hair, with over 15 years of experience and advanced education in color and cutting technique. Brazilian Blowout Certified. Adagio Salon is located in El Dorado Hills, in the Town Center shopping center near Mechanics Bank, Wells Fargo Bank, Nail Chateu, Veda Home.